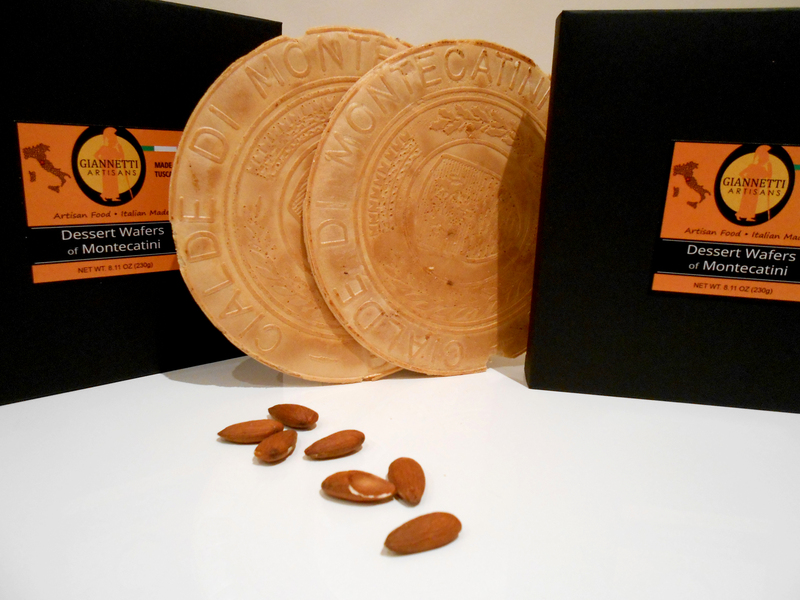 ITALIAN ALMOND DESSERT WAFERS – TRULY ADDICTIVE! 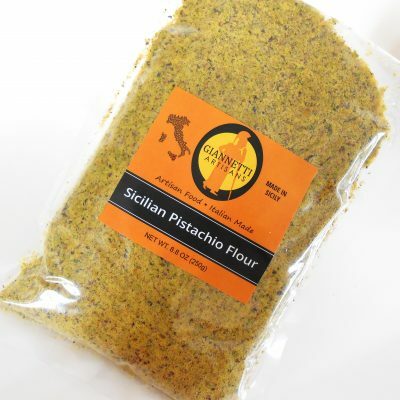 ALL ITALIAN INGREDIENTS, & AUTHENTIC FAMILY RECIPE! 5-PACK DESSERT WAFERS TO ACCOMPANY WITH ICE CREAM OR A DELICIOUS SNACK! Our wonderful Tuscan Artisanal Dessert Wafers also known as “Cialde di Montecatini” are typical almond wafers originating from the Tuscan village of Montecatini Terme. 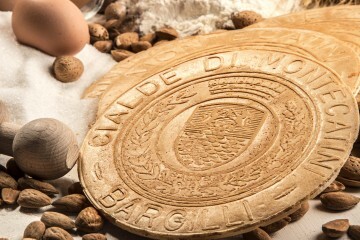 In particular, the Cialda or Wafer is made from a traditional family recipe with a gorgeously unique taste! Having said this, our producer hand crafts our delicious Cialde. They are a sweet, friable, flaky pastry wafer with a vanilla flavor and contain delicious almonds from the Puglia. In fact, the ingredients are of such high quality, that you can smell the almonds even with a sealed package!! Furthermore, our producer makes the Tuscan Artisanal Dessert Wafers with almond dough enclosed between two thin wafer layers. In particular, the wafers do not contain artificial flavors, artificial coloring or preservatives. Giannetti Artisans selects producers that use only high quality ingredients to make their specialty goods. We search for items that originate from certain regions and areas around Italy only. Enjoy the taste of Tuscan Artisanal Dessert Wafer at breakfast with milk, coffee, tea. At the same time, you can even spread some marmalade or chocolate when you’re not feeling so guilty! We highly recommend the wafers with gelato. Delicious with Vin Santo, dessert wines, whip cream or fruit salad as well! HEAVEN ! This makes ALL other wafers….regardless what country produced them! These wafers are truly sinful . ….and I pray that I will “sin” for many years to come . …Well done Sally! Since they make such a chic entrance, I sent them to colleagues and friends, and when I saw (just now), that they were no longer in stock on Amazon, I cyberstalked them.